It’s my favorite food. Like right at the top of the list, it’s one of those meals that only your mom cooks perfect. With that out of the way this north Indian dish is made with yogurt, gram flour and a lot of other ingredients. If done right it’s spicy and sour, not watery thin nor paste-like thick. This one was prepared by a friend who enjoys cooking and is way better than I am. The presentation includes slightly fried onions, cilantro and desi ghee. 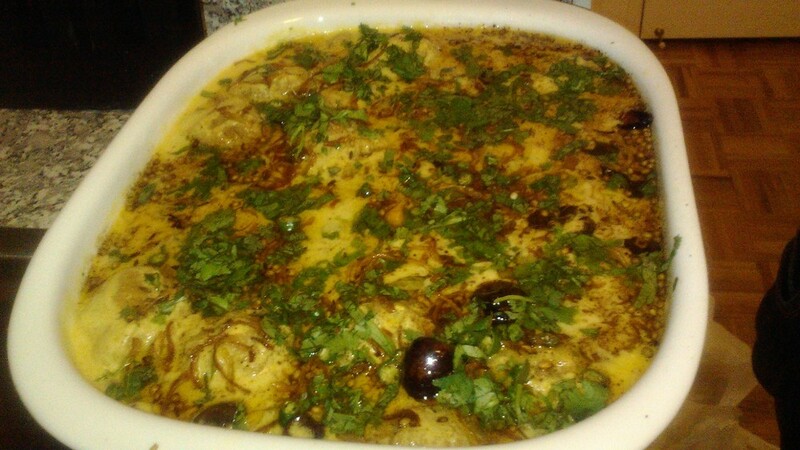 The kadhi I remember looks as delicious and this tasted as delicious. Have with a plain parantha (Indian bread) or rice, I couldn’t have had a better lunch away from home.